Unique opportunity for investment in Mouraria. 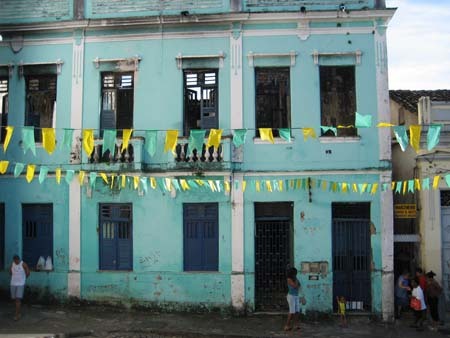 After a fire that destroyed the inner parts of this house, the front was saved and a project was designed for the construction of a pousada. This property comes with these completely developed plans by Vivian Lene and is ready for development. Our engineering partners TABA have also evaluated the site and have some alternative ideas for plans. Feel free to ask us for more information. 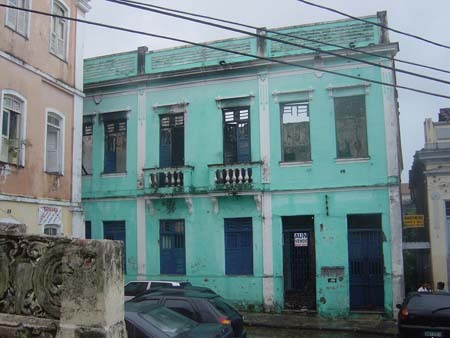 A few years ago, another investor gambled on a similar ruin next door and created one of Salvador's most exclusive bed and breakfasts. 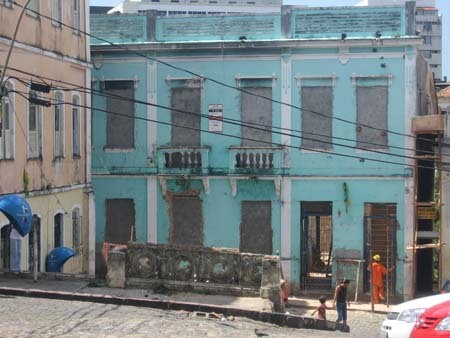 It is only a matter of time before Mouraria undergoes a similar renovation like in Santo Antonio. Get in while the prices are next to nothing! Nazaré: A middle-class district, located near the old city center, where you will find important institutions such as the Bahia School of Medicine and Public Health, Monteiro Lobato Children's Library, Ruy Barbosa Courthouse, various government offices, Octavio Mangabeira football stadium (also called the Fonte Nova stadium), several representatives of the trade segment and picturesque streets of colonial old-style houses. Nazaré is located near the oldest and most famous neighborhoods in Salvador, like the Baixa do Sapateiro, Pelourinho, Santo Antonio, and Saúde.